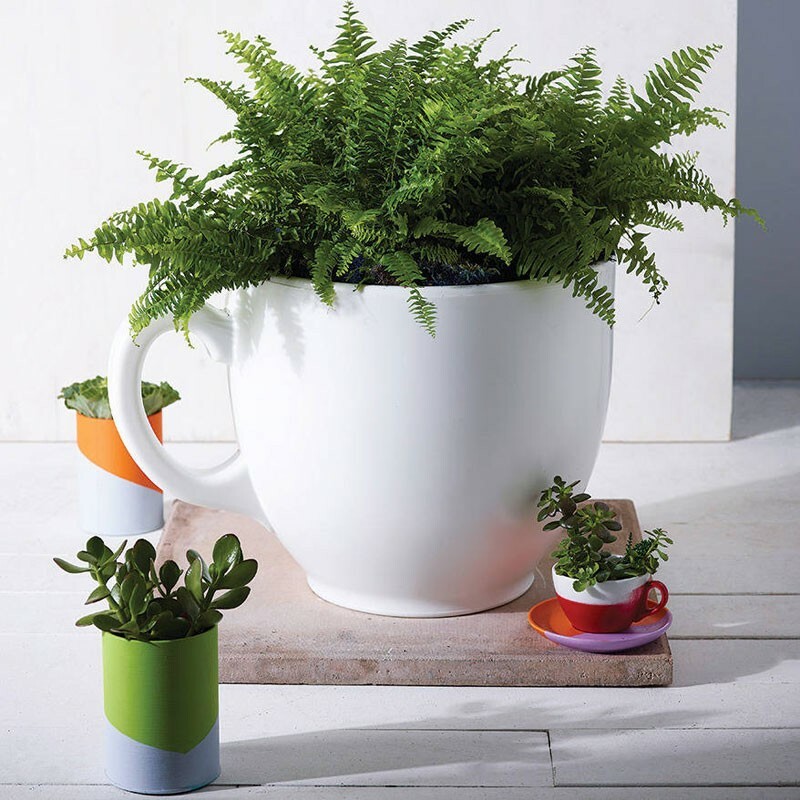 The Tea Cup Planter is a unique and charming way to present your favourite plants in your garden or any outdoor area! This white designer tea cup flower pot features a drainage hole in the bottom and is made from a hard-wearing plastic that is both frost and UV resistant, so can be left out all year round. It is also light-weight, making moving around a doddle! Inspired by Lewis Carroll’s Alice in Wonderland, this giant tea cup gives your garden a fantastic, whimsical charm that is sure to be a talking point with visitors. See more of Holly Palmer’s creations in our from same range section!